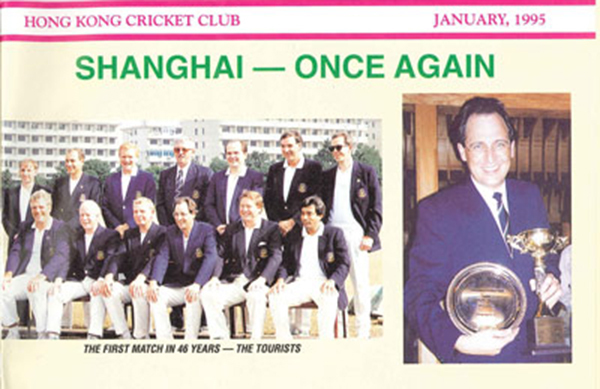 Twenty years after the first Shanghai CC game of the modern era, Craigengower CC from Hong Kong will tour with many of their original line-up to replay the match against an SCC Veterans side on October 19 at Wellington College Cricket Ground. 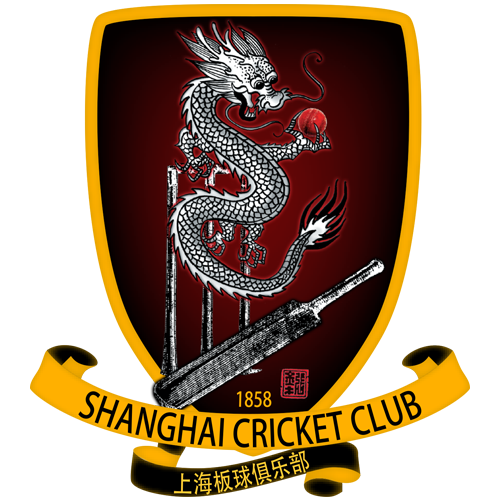 If you’re a veteran (40-ish years of age), and want to be considered for selection, contact: SCC Club Captain Oliver Austin. 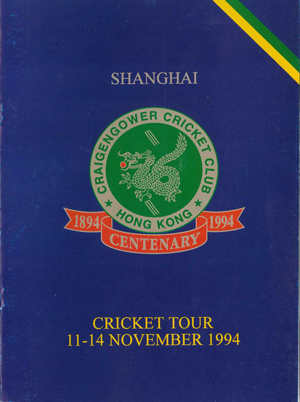 Craigengower CC was founded in Hong Kong in 1894, and the November tour to Shanghai in 1994 was a part of the club’s centenary celebrations. Click on the cover of the original program from the 1994 tour to view the full scanned pdf.